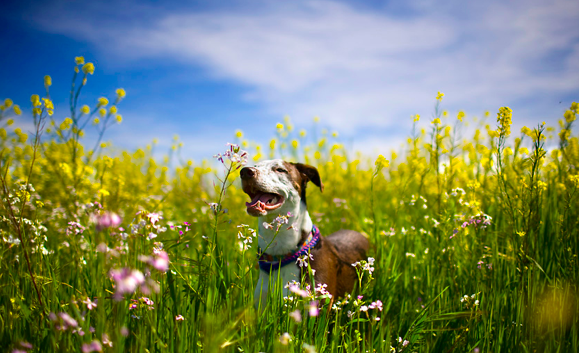 NEW YORK, NY– PetCareRx is announcing the results of its first Spring Tickitude Survey, revealing how pet parents across the country feel about the threat of ticks as well as their lifestyle choices around tick prevention and protection. With over 400 pet parents polled nationwide, the survey reveals that 4 out of 5 pet households are concerned about tick related threats this season, and the pending threat of Lyme disease is top of mind in 64% of pet households around the country. Tickitude results indicate Lyme disease concern levels vary significantly by region, ranging from a high of 82% of Northeast pet households concerned down to just 33% concerned in Western pet households surveyed. 70% of Midwestern and 60% of Southern pet parents polled are worried about the Lyme disease threat for their pets and human family members. Lyme disease is named after Lyme, Connecticut, where the disease was first discovered, but every state has reported cases of Lyme disease, which is transmitted by deer ticks. Lyme disease-carrying deer ticks can feed on more than one pet or move from pet to human and infect multiple members of a single household in a short amount of time. Despite elevated Lyme concern levels this season, 2 out of 3 pet households admitted their dogs and cats often spend time on family member beds, a habit which can help ticks travel to other family members. Moreover, families with a history of pet Lyme disease in the household were more likely to have pets in their beds often (85% vs. 64% average). 46% of pet parents reported having had to deal with ticks on their pets, a situation which can be stressful for many. In fact, the survey revealed that 8% of pet parents would rather eat a bowl of their pet’s food than remove a tick from their pet. 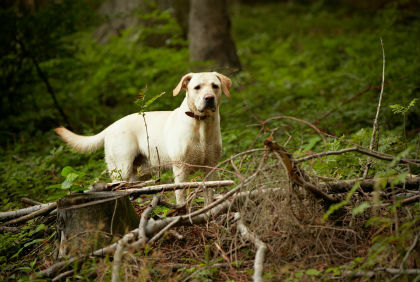 There are many ways to prevent ticks from attaching to cats and dogs. Topical treatments, also known as spot ons, are the most popular option among those polled, with 85% of pet parents who use tick protection favoring this monthly format and just 3% opting for a collar. 72% said effectiveness was the most important consideration in choosing a flea and tick protection while only 20% said cost was the most important factor. In addition to fielding the first Tickitude study, PetCareRx is supporting awareness of Lyme disease risks and prevention through its special coverage in Lyme disease articles and Wet Nose Press blog and distribution of pet flea and tick prevention products available in the PetCareRx Flea and Tick Shop. This entry was posted in Pet Health, Pet Studies and tagged Lyme disease, PetCareRx.com, pets, tick protection on July 2, 2013 by Dana Humphrey.